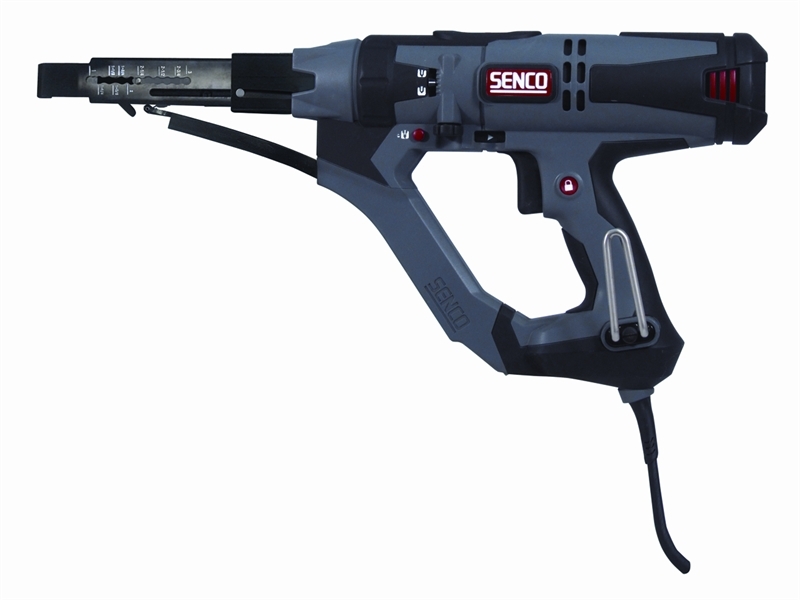 The Senco DS7525 DuraSpin Screwdriver has the capability to drive 25-75mm screws, making it perfect for the professional general contractor driving a wide variety of screws into many different applications. The variable speed trigger, with lock and reverse, allows for a greater control over speed, making it perfect for a variety of applications. Combining the versatility of our patent pending corner-fit feed system and high torque 2,500rpm motor, you can count on this tool to drive into almost any application. 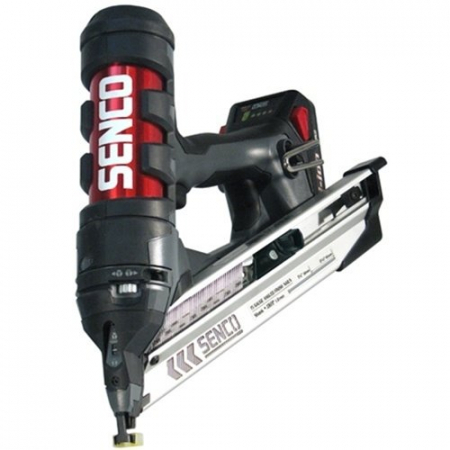 Tool-free screw length adjustment, and patented sliding screw guide make it easier to switch between applications. It also has a quick slide bit change system. Ideal for applications including Drywall (wood or steel studs), Decking, Decks, Drawers, Framing, Sheathing, Sub-flooring, and Underlayment. Comes complete with two drive bits, drywall and wood nose piece, belt hook (right or left handed adjustable), and robust carry case.